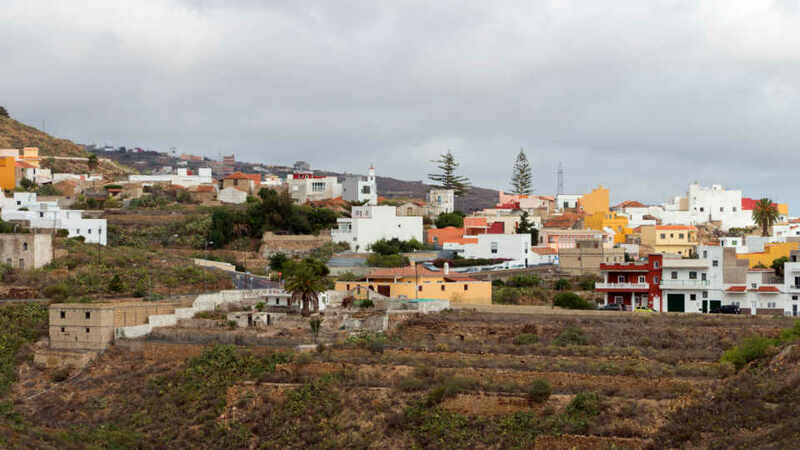 In present-day Tenerife, the representative in rural tourism is none other than Arico. Its historical and natural splendors drape 179 km2 remarkable landscape. The municipality is also used to tourism, as it has been impressing longer than the rest of the island. Needless to say, the island’s title as a major tourist destination in the world is in good hands. Arico’s terrains are pure delight. Interesting towns of great historical and architectural value are sprawled in its hills. The wide and untouched expanse is open for exploration, and so are its rugged but splendid coasts. With nothing but the sound of crashing waves and faint voices, its beaches are among the most serene in the island. More than a rural tourist spot, it is a countryside perfection with many facets. The annexation of the Canaries was a bloodbath. No matter how disturbing that part of history was, it did pave the way for beautiful things to happen. One of those is the architectural awakening of Arico where the old structures still stand. Around 1590 to 1610, the San Juan Bautista Chapel was built on what was a peaceful farmland of El Lomo de Arico. Eventually, lovely stone abodes sprung around it until it became a small community. Soon, El Río and Old Arico settlements were built. And, by the next century, the New Arico was also created. Although the small towns were erected on what were initially farmlands, the municipality’s economy still relied on farming. Thus, most of its expanse is still used for that purpose. Since the 18th Century, its main crops have been potatoes and tomatoes. They also produced divine cheese and wines. A harmonious mix of calm and thrill embodies the southeastern municipality of Arico. It has enduring towns, unspoiled outskirts, and laid-back seaside. Here, travelers can avoid the crowd but still experience island vacation at its best. They can relax without missing out on adventures. 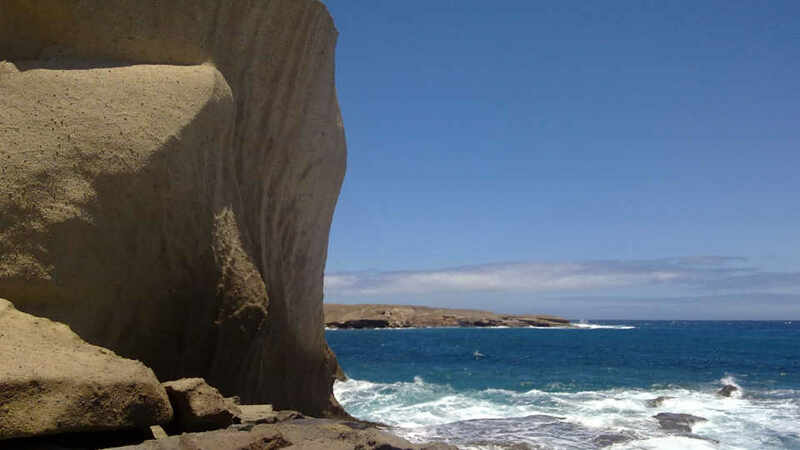 And, most importantly, experience the almost untouched side of Tenerife. Strolling around Arico’s hundreds of years old towns is like traveling back in time. Its traditional white houses, churches, and pathways transport people back to the past when everything was created with beauty and function. These towns also have sublime surroundings which make them even more worth the visit. Nestled between Villa de Arico and Arico Viejo is the lovely Arico Nuevo. Although its name means ‘new,’ the town has a rich heritage and is a certified historical site. Within its narrow alleys is a row of well-maintained 18th and 19th-century white houses. 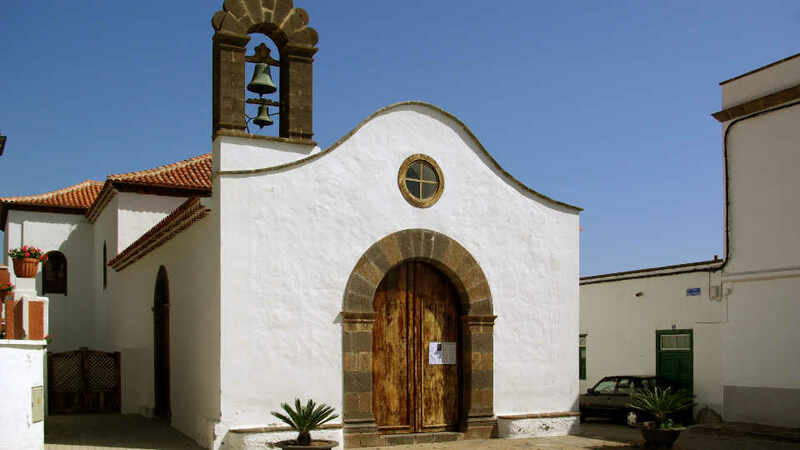 Even older are the churches of Nuestra Señora de la Luz and San Bartolomé. Both churches, built in the 17th century, house precious religious artifacts. The Nuestra Señora de la Luz Church holds the 16th century ‘La Virgin de Tajo y Niño,’ a Madonna and Child sculpture. Meanwhile, the Church of San Bartolomé has a 16th-century figure of the saint and San Juan Bautista from the 17th century. Many opt to stay in Arico Viejo as it is the nearest ‘Arico’ to other attractions in the municipality and the island. Aside from its location, it, too, has attractive white houses. The local church, Iglesia de Arico el Viejo, is also a head-turner. There’s just something about structures of traditional Canarian architecture that exude charm and exoticness. And, because they are in the fabulous Canary Islands, they are in such picturesque setting too. Villa de Arico is without a doubt the most economically successful in the Arico family. Although enjoying relative prosperity, it had humble beginnings like most towns. Around 1590 to 1610, in the middle of agricultural fields and nothingness, the beautiful San Juan Bautista chapel was built. Charming abodes rose around the chapel which led to the formation of Lomo de Arico. Finally, in 1916, due to its financial growth, the town earned the “villa” title (equal to the borough in the UK) from King Alfonso XIII himself. And, the quaint little village has been known as Villa de Arico since. What sets Icor apart from the other aged settlements in the island is its type of old rural architecture. Instead of the typical one-story whitewashed houses, this hamlet has two-story stone houses. It’s also missing features common to old towns like cobblestone alleys and churches. It’s clear that development skipped this small village. Whatever it lacks, though, gave it a more ancient and raw feel. And that is precisely why tourists never miss Icor when they are in or around Arico. 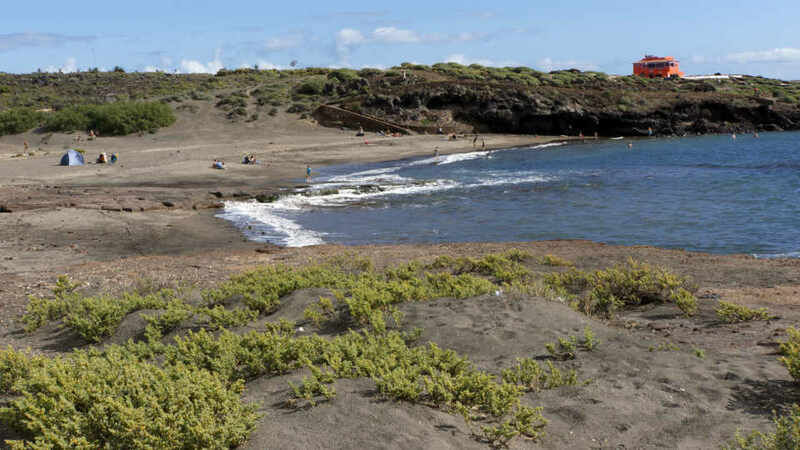 Arico has the most undisturbed coast in Tenerife, and the best ones are Tajao, El Porís, and Abades. These three, although practically neighbors are also different from each other. Thus, the activities available differ. No matter which beach travelers visit, tranquility is a sure thing. Tajao has two waterfront areas – the beach and the port. Playa de Tajao is a black and pebbly volcanic sand beach with calm waves all year round. Because of the high winds, tourists expect to see rough waves. Surprisingly, though, a peaceful rush of seawaters welcomes them instead. Great for a refreshing swim, they may also sunbathe while enjoying the view of the Atlantic. Powerful currents are rare in this area, but still be vigilant as there’s no lifeguard around. And then, there’s the picturesque port of Tajao. Unlike the other ports in the island, no large ferries and imposing yachts dock here. It’s very much a modest harbor with small boats moored in its tranquil waters. The fishing village is fantastic too. To unwind and enjoy the views of the port and azure sea, grab a meal in one of its oceanfront restaurants. The 200-meter long golden sand beach of Playa El Porís is beautiful and all natural. Hence, it is one of the very few with such distinction in Tenerife. Its refined sand is perfect for pleasant walks or even early morning jogs. For another postcard-perfect view, also visit the lighthouse of Porís. It is but a quick 5-minute walk away from the beach. Tourists can enjoy all the things they’d usually do in other beaches except for one thing – eating out. This small majestic beach has no bars, cafes, or restaurants. So, all visitors must bring their own, or drive to the nearest town for a meal. Please also note that El Porís de Abona, a famous surf spot in Arico, is a different beach altogether. A former leper colony, Abades is now a popular destination, especially for the locals. The seafront hamlet is quiet and sleepy during the winter season. All that change on school holidays, though, when young residents flock its shores. Scuba diving and snorkeling are also a huge favorite here. In fact, there are dive centers in the area open every day. The little seaside town is also very convenient. It has nine restaurants, two small supermarkets, and a fitness studio. Arico has fascinating hiking trails to offer as well. For beginners, try the route from Plaza de Los Condes de Santa María de Abona in Villa de Arico to the hamlet of El Río. The engrossing stone pathways are ancient, but still a slightly easy track to walk on. For jaw-dropping vistas, explore the trail that starts in El Contador recreational area. It leads to the Tamadaya ravine, the upper part of Villa de Arico, and lastly, in Arico el Viejo. Please note that this track is for at least intermediate level hikers. Arico has the best and most extensive area for climbing in the whole Tenerife. Here, tourists can explore fantastic landscapes through its more than 260 routes. Everyone, even beginners, can join in the fun just as long as they are up for the challenge. The El Río ravine is the best place in Tenerife for steep climbing. There are also demanding routes in the Arico Gorge, the largest climbing area on the island. As for those new to the sport, it’s best that they start with Arico upper and Tejina. After a long and exhausting day of hiking, climbing, or seaside tripping, tourists deserve to rest and relax. Marveling at lovely views from the terrace while sipping local wine sounds fun. Admiring the traditional Canarian architecture of the rental can’t be helped. In Arico, lodging isn’t only for sleeping. The lovely one-bedroom Landhaus Lorena in Arico el Nuevo is perfect for couples. It has all the comforts and amazing outdoor features as well. For guests who want to have fun while basking in the Canary sun, this is the place. It’s a holiday home with a private pool and an outdoor dining and barbecue area. If they prefer to relax indoors, the living room has a sofa, satellite TV, and a rustic fireplace. They may also use its fully-equipped kitchen that also comes with a washing machine. Apartamentos Alegro is for tourists who want to see the expansive blue Atlantic as soon as they wake up. What’s more, the Abona Lighthouse can also be appreciated from their private terraces. If all those do not impress, its location and features will. Situated in Porís de Abona, it is a mere 2-minute walk from the beach. Bars and restaurants are also within a 5-minute walk. If staying in is their style, the living area with sofa and satellite TV will keep them cozy. While the kitchen with an oven, hob, and fridge will surely make their stay comfortable. The bathrooms also come with a bathtub, so relaxation is a promise. Situated in Arico Viejo, the Casa Abuela Mina is a 3-bedroom home that can house up to five persons. Guests love that they can relax on the terrace and enjoy a barbecue with mountain and sea views. The casa has great amenities to make sure guests will feel right at home. There’s a living and dining space. There’s also a fully-equipped kitchen with dishwasher and washing machine. Truly, their guests’ convenience is a top priority. Most of the restaurants in Arico offer traditional Canarian cuisine. Although somewhat limited, most of them provide top-notch food and service. They also add a bit of personal touch or twist to their dishes to stay ahead of the food business. For fresh, flavorful, and tasty meals, Arico’s menu is a must-try. A tiny restaurant that leaves a big impression to their diners, that is Tasca La Zurrapa. Locals sing praises for this food haven. And, most tourists find their way here through recommendations from them. The restaurant offers freshly prepared Spanish and Canarian dishes at a reasonable price. The most popular ones are the chicken in beer, ropa vieja (also chicken), any of the tapas, and bacalhau tipico (codfish). Pair any of their dishes with either coffee or local wine. One of the best restaurants in Arico, Tasca Tierras del Sur should not be missed. In fact, locals and tourists even drive from other towns and municipalities to dine here. Their impressive menu is a mix of International, Mediterranean, and Spanish cuisines. As in most Canarian restaurants, of course, tapas reign supreme. In Tasca Tierras del Sur, the most popular tapas are the octopus, oven-baked fish, banana croquettes, and spinach croquettes. Their other must-tries include tuna stuffed red peppers, foie gras with fig jam, hake fingers, and tierras house salad. A meal can easily turn into a feast when in Tasca Tierras del Sur. How can it not be when every dish served is even better than the last one? And, just when guests think they’ve already had more than they can handle, desserts are offered. Their sweet delights are extremely good and of generous sizes. It’s simply impossible to refuse. Samelo Veg Restaurant is the answer to the growing number of vegan and vegetarian tourists in Arico. They aren’t just the best vegetarian option though. They are one of the best restaurants in the municipality. Even non-vegans recommend this place. This is a truly family-friendly restaurant. While waiting for their orders, tourists with kids can have fun in the fairly large play area. They may also admire all the home-made decors in the establishment. Once their orders are served, they will be too full and happy to even move an inch. For those who want to taste a little bit of everything, try their mixed sampler platter of tasty pumpkin spread, beetroot puree, mushroom pasta, tomato with vegan mozzarella and a vegan soft cheese, with an assortment of home-made bread. Their other must-tries are spinach and vegan cheese starter, pumpkin soup, turmeric, seeded and olive bread paired with garlic spread or vegan cheeses, lasagne sin pasta, and maize-based tortilla. For dessert, one can’t go wrong with their crepes rellena, cheesecake, apple cake, and chocolate mousse pie. As for their drinks, the best ones are the apple, carrot, and pomegranate juices. The public transport system of Tenerife is not only reliable but also cheap. Thus, many tourists take the bus to go around the island. At the moment, two bus lines are servicing Arico from the island’s major towns. Tourists can take bus line 711 from Santa Cruz to Costa Adeje. It covers plenty of other places, and one of its stops is Arico. For those coming from Costa Adeje, take bus line 111. The whole trip lasts only 30 minutes, and the final destination is Santa Cruz. To go around the municipality, tourists can hire a car, hike or go by bike. Tourists go on vacation mainly to de-stress from work and daily routines. 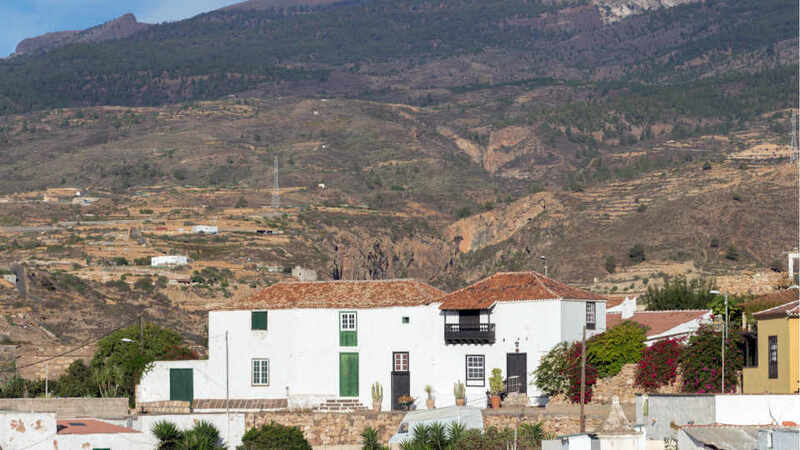 And, many find their way to Arico when escaping the bustle of Tenerife’s major towns. In this world full of skyscrapers, they find its old towns new and refreshing. With so many coasts commercialized and enhanced, its rugged seaside feels so pure and rare. Most of the activities available also connect and endear them to nature. Why must one visit Arico? Well, why ever not? Through its narrow cobblestone pathways, people can travel back in time. And with the sight of its picturesque mountains and coasts, their worries evaporate. It is one of the very few places to rewind and unwind. Just exactly what visitors need before heading back to real life.